This is a collaborative post written with the incredible Karly Moura, an amazing TOSA from California. She has been an invaluable part of my PLN since we have connected 2 years ago. Add her to your PLN by following her on Twitter. If you follow either one of us on Twitter, you will quickly find out that we have many things in common. Two of those being our passion for Flipgrid and HyperDocs. We are avid HyperDocs creators and have created many HyperDocs collaboratively and share them with our PLN on Twitter. We are also both Flipgrid Ambassadors and love sharing this amazing tool with other educators. We believe that powerful digital lesson design infused with the power of amplifying student voice is truly a game changer in the classroom. Whoa. Stop the music. You don’t know about Flipgrid or HyperDocs? Well then you have our permission to stop reading and explore any and all of the resources below. HyperDocs! Need I Say More??? Catch the Flipgrid fever! 15+ ways to use Flipgrid in your class. OK now that we are all on the same page with the WHAT, let’s talk about WHY HyperDocs and WHY Flipgrid and HOW we can use them together to amplify student voice in purposeful digital lesson design.In a recent episode of the Cult of Pedagogy podcast those two were brought together. In the podcast Jennifer Gonzalez is interviewing Lisa Highfill, Kelly Hilton, and Sarah Landis the creators of HyperDocs. Towards the end of the interview, they are discussing HyperDocs and having great design and purpose when creating and using HyperDocs. Then Lisa mentions FlipGrid! HIGHFILL: ...You know when a new web tool comes along, you’re all excited? Like everyone’s excited right now about Flipgrid and whatnot. HIGHFILL: But then I want to ask them, what are you going to do with it? How are you going to build the pedagogy around that cool tool? HIGHFILL: And where in the lesson flow would it fit in your HyperDocs? So it’s really saying, “I love flashy new tools. Now let’s think about how you can effectively use them in the classroom, and then link it into your HyperDoc that way. Well, we say “Yes!” to Flipgrid being both when used correctly and we want to give some ideas how you can effectively use Flipgrid in the classroom, and then link it into your HyperDoc lessons. The reason being that great HyperDocs are created and taught with purposeful lesson design and pedagogy and Flipgrid being so versatile by allowing for video feedback and increased student voice within your digital lesson design. While HyperDocs can take many forms (slides, maps, drawing, forms etc), we will be referring to the sections from the basic HyperDoc template for our examples. The basic HyperDoc template has seven parts that students go through as you complete the lesson. This template was created by Sarah Landis to help others get started and gives an excellent description of each part. There are tons of ways you can incorporate Flipgrid into your HyperDocs, here are just a few ideas for getting started. Note: You can go to “file” then “make a copy” of any of these templates or examples to use with your own class. Use Flipgrid to engage students at the beginning of a lesson by including a video, image, quote, or another inspirational hook in your topic for students to respond to. Students explore a topic through a collection of resources (articles, videos, infographics, text excerpts, etc.) in the HyperDoc. Idea 💡 Bring in experts and take your students beyond the four walls of your classroom! Flipgrid hosts an amazing opportunity with their Flipgrid Explorer Series. They have done two so far and more are planned! Use the expert videos in the explorer series for your students to learn about new and exciting animals, places and careers. HyperDocs are a perfect accompaniment to this series as you create your digital lessons around these topics and extend the learning in your own classroom. Idea 💡So Flipgrid’s explore series doesn’t fit into your curriculum? Then create your own! Teachers can do this by creating a ‘virtual field trip’. Go to a place (we’re thinking state parks, historical sites, museums, etc) that is of value to your lessons and record short videos of the sites to bring the content to your classroom. Add the videos to a Flipgrid for your students to explore and respond to. Even better collaborate with other teachers across your district, state or even in other countries to create an explorer series for many different classes to connect through. Create an assignment for students to apply what they learn by using web tools to create, collaborate, and/or connect beyond the classroom. Then collect student work to provide feedback, and/or include a section for students to share work with an authentic audience. Idea 💡 Have students use storytelling web tools to apply their learning. Then appsmash with Flipgrid and get them to share with the class and beyond! Students show what they know using video or digital storytelling in a different app then upload to Flipgrid to share. Add in any part of or all of this Flipgrid appsmash choice board to your HyperDoc and have students apply then share their learning! Idea 💡 You don’t need to appsmash. Students can simply connect with other students across the school, state, country or world! Before, during and/or after a unit have students connect with each other to share what they learned. Give students an opportunity for digital reflection on their learning journey using Flipgrid to guide students along their learning progression and set new goals. Idea 💡 Have students reflect back on the lesson or unit and share what they have learned. This is a powerful way for students to be thoughtful about their learning process. Also see the KWL example for Engage above. Would you like to try out Flipgrid Classroom for yourself? Go to www.flipgrid.com, signup for free or login to your existing account and use promo code SEANFAHEY or KARLYMOURA to receive 45 day free trial of Flipgrid Classroom. “How can this be used for math?” This is a question I often hear and even ask myself when it comes to using technology in the classroom. In today’s math classrooms, we need students to develop a deeper understanding of the math they are learning. It's no longer about completing computational steps correctly. Math today should involve more reasoning, explaining, and students communicating their understanding of the concepts being learned. Well, the possibilities are probably endless, first I had ten, but now here are 13 ideas I brainstormed to use Flipgrid with math that can help us get started. Number Talks. Using Flipgrid helps slow down the pace of the discussion and allows more time for students to think about and respond to the math. Everyone gets to share their voice and add to the conversation. Weekly Math Problem. This could be done as a review or about the current topic. Mix it up by doing this with another class at your school, district, or across the country! For me, I’ll be teaching five sections of 6th grade math, so this could be a great way for students from other classes to interact with each other. Student Math Challenge. Put students in control and allow them to provide a math problem for classmates to complete. I like this idea for simple computational practice. My students in the past always loved to challenge each other with different problems. Some healthy organic competition can do wonders in a classroom! Find the mistake. Post a video or picture of a math problem that was worked out incorrectly and has the wrong answer. Students must then find the error and explain in their response how to solve it correctly. Would you rather…? Have seen www.wouldyourathermath.com? It’s a website put together by Classroom Chef co-author John Stevens. On the site are tons of scenarios posted that challenge the students to think, solve some math, choose a path and justify their reasoning. The best part is that new ones are continuously added and you can search them by categories! Student created math tutorials. I can see this happening two ways. The first option is to have students add math tutorial responses on a predetermined math skill. Then share the filled Flipgrid Topic as a resource for others to use. The second option is like a “math help hotline”. Provide a topic where students can post questions or calls for help. Other students can respond with a short how-to tutorial. For either one these options, a screencasting app could be used to create the video and then just upload those videos to Flipgrid. Math Notes. Flipgrid could be a great way to chronicle all of the different math topics and skills that have been taught in your class. Place either student or teacher created responses that students could go back to if they get stuck and need help. Make sure to have student save or bookmark the link to the grid and they can have access 24/7. Stump the Teacher. Students pose a math question they already know the answer to and teachers respond with the solution and how it was solved. Share real world math experiences. Math is all around us! The more and more students can relate the things they are learning in math to their lives the better. 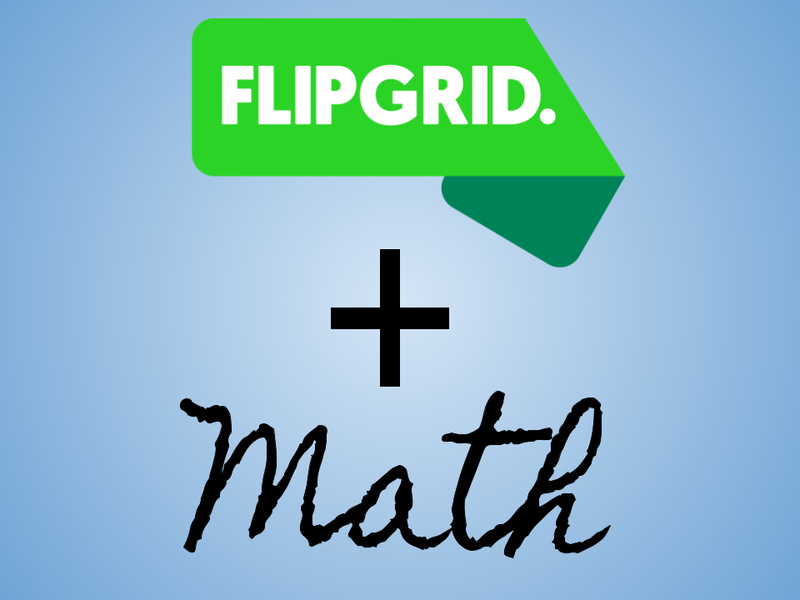 Use Flipgrid and have students share their math experiences that happened outside of the classroom. They can share how they figured out if the had enough money to spend. Have them talk about what measurements they used when cooking a recipe. What angles did they notice at the playground? 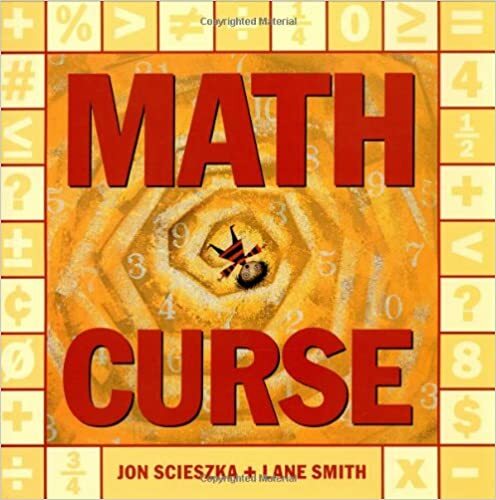 One of my favorite ways to begin the school year is reading the book Math Curse to my students and have them create their own Math Curse stories. If you do this, students could add their Math Curse questions to Flipgrid for their classmates to answer. Think, Notice, Wonder. I discovered think, notice, and wonder after reading this blog post. It is another great way to get students to share their mathematical thinking and connections. You provide students with an image prompt and they share what they think, notice, and wonder. The responses don't always have to be math related because the goal is to get students to practice explaining their reasoning and understanding. This strategy is also a great way to help students write about their math. After writing down their response, they can share that via Flipgrid. Which One Doesn't Belong. I discovered WODB, through the mathupmath.com website. In a blog post here is how they describe how WODB works. "Instead of working on practice problems during a lesson's warm-up, students will observe and reflect upon a graphic displaying four images. They will then apply their mathematical and reasoning skills to decide which of the four items does not belong and also justify why their choice is valid." To me the incredible thing about using WODB prompts there isn't one correct answer. As long as a students make a valid and justifiable answer they are correct. So when answers are shared it generates a fantastic mathematical discussion that can use up an entire class period. Add one of these prompts to a Flipgrid topic and watch the conversation flourish. There is also the wodb.ca website that has ready to use prompts as well. Convince me that. These are a series of teacher created prompts that I first saw started and shared on Twitter by math teacher Daniel Kaufmann. It's a simple yet genius idea to help students focus on different aspects of a math problem than just solving them because the answer is included. Now students must explain the how, why, process, etc.. behind the solution. Adding a prompt like this to Flipgrid will give all students to share their understanding, learn from others, and dive deeper into mathematical reasoning. You can find a slide deck with "Convine me that" prompts here. Again these are just some possible ways I’ve brainstormed to use Flipgrid to enhance the mathematical discussion and learning in my classroom. For more amazing ways to use Flipgrid to enhance your math lessons check out the Topic Discovery Library. This is where teachers are sharing the topics they have used in class. Also be sure the check out the #flipgridfever community on Twitter. There are always innovative ideas on how to incorporate this great tool in your classroom. What are your thoughts on these idea? Which idea would you want to try first? 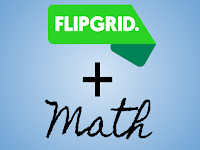 How have you used Flipgrid in a math lesson before? Leave me a comment below or connect with me on Twitter @SEANJFAHEY. Do you want to see more ideas on how to use Flipgrid in your classroom? Check out this amazing blog post by my friend Karly Moura on 15 ways to use Flipgrid in your Class. Also be sure to look up the #FlipgridFever hashtag on Twitter. Teachers from all over are sharing the incredible ways they are using Flipgrid in their classrooms. I would say by now most teachers around the country are officially on summer break and those that are not, it's quickly approaching. As a teacher myself, summer break is probably like many others. It's a time to rest, refresh, and recharge. There is a little more sleeping in, reading books, being outside, going on vacations, and spending time with family and friends. While all that is great, the one thing that I have also enjoyed about being an educator and living in Indiana is the Summer of eLearning Conferences sponsored by the Indiana DOE. These conferences are held all over the state at local schools. It is an initiative that is in its sixth year. The schools that host them have received grants to help cover many costs of putting on the conference which allows them to bring in some of the best and top notch keynote speakers & presenters from all around the country. On top of that, the grants also help reduce registration costs. The highest I've seen is $30-$40 for a two-day conference. And whatever cost it may be, in my experiences, it has always included a small breakfast during registration time (donuts, fruit, coffee, etc) and lunch. If you are not sold yet, local teachers sign up to present sessions on topics they are passionate about and experts on. Definitely, a huge bang for your bucks in my opinion. Don't believe me? Just check out this year's conference list. I am sure you will probably find one nearby that is intriguing to you. All this happens to better equip educators on the uses of technology in the classroom and other areas to make our teaching better for students. This year's conferences have already begun. I was able to attend PowerED Up at Perry Central for two days where I heard keynotes and from Matt Miller and Eric Sheninger and attended a session to experience my first BreakoutEDU. I went to the second day of Making a Splash in Digital Learning at Batesville High School where I presented sessions on Creating and Teaching with HyperDocs and enjoyed a keynote and a session by John Spencer. Check out some of my highlights in the embedded Slides below! And I'm not done yet! On June 22nd, I'm attending the SuiteLife Conference at Washington High School where Kasey Bell will be keynoting. While there, I will be presenting HyperDocs again along with FlipGrid too. I'd like to encourage any educator in Indiana or surrounding states (Yep, you don't have to be a from Indiana!) to take the time and attend one of these conferences. I guarantee it will be worth your time and investment. Have you attended one Summer of eLearning conferences? Would love to hear what your experience has been like. Leave a comment below or connect with me on Twitter, @SEANJFAHEY. Finally, thanks to all that put in the work hosting these conferences all over our state!